On Monday, South by Southwest Interactive decided to pull the plug on two gaming panels planned for the 2016 tech festival, citing "numerous threats of on-site violence related to this programming." In response, BuzzFeed and Vox Media canceled plans to participate in and report on the week-long conference in Austin, Texas. In an online statement, SXSW Interactive director Hugh Forrest said it is canceling panels about gaming culture—"Level Up: Overcoming Harassment in Games" and "SavePoint: a Discussion on the Gaming Community." The former panel intended to explore ways to solve discrimination and abuse in the gaming community, while the latter panel included speakers associated with the GamerGate movement such as Perry Jones. "We had hoped that hosting these two discussions in March 2016 in Austin would lead to a valuable exchange of ideas on this very important topic," Forrest wrote. However, a number of threats forced the conference to shut down the panels. "Preserving the sanctity of the big tent at SXSW Interactive necessitates that we keep the dialogue civil and respectful. If people cannot agree, disagree and embrace new ways of thinking in a safe and secure place that is free of online and offline harassment, then this marketplace of ideas is inevitably compromised." BuzzFeed then announced on its website that it's withdrawing from the event. According to SXSW's online schedule, BuzzFeed planned to participate in at least one panel named "When Your Photos Become the News" about the role of user-generated photography in journalism. BuzzFeed editor in chief Ben Smith, publisher Dao Nguyen and Ze Frank, president of BuzzFeed Motion Pictures penned a letter urging Hughes to put the programming back in the conference. They wrote: "Digital harassment—of activists of all political stripes, journalists and women in those fields, or participating in virtually any other form of digital speech—has emerged as an urgent challenge for the tech companies for whom your conference is an important forum. Those targets of harassment, who include our journalists, do important work in spite of these threats. "We will feel compelled to withdraw them if the conference can't find a way to do what those other targets of harassment do every day—to carry on important conversations in the face of harassment. We hope you can support the principle of free speech and engage a vital issue facing us and other constituents on the event." "Harassment is an issue Vox Media takes extremely seriously. As a digital media company, our journalists often face online harassment and find themselves on the receiving end of threats. We support our staff when they encounter this kind of abuse while continuing to do the work that can result in it, and want to continue an open dialogue about how best to do so. 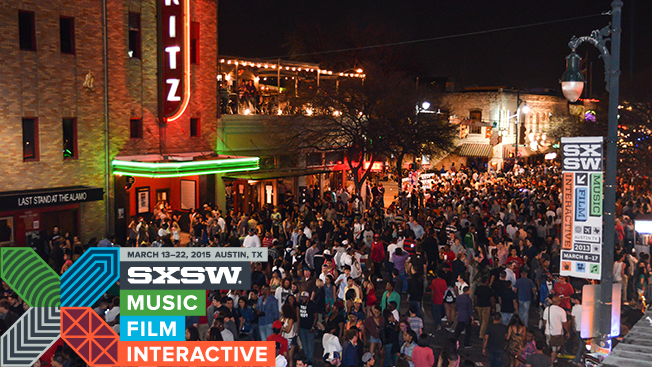 "By approving the panels in question, SXSW assumed responsibility for related controversies and security threats. By canceling the panels, they have cut off an opportunity to discuss a real and urgent problem in media and technology today. We have reached out to SXSW organizers and ask that they host a safe and open discussion of these issues, rather than avoid them. Vox Media will not be participating in this year's festival unless its organizers take this issue seriously and take appropriate steps to correct. We will work to find an alternative forum for this conversation and invite others who feel the same to join us." Indeed, both media brands are leaving open the possibility of recommitting to the conference if South by changes course and reinstates the panels. Stay tuned. UPDATE: Cindy Gallop, a popular branding consultant and advocate for women in business, called on brands and advertising agencies to boycott the festival until it reinstates the panels. She shared her thoughts at the 3 Percent Conference in New York on Tuesday.
.@cindygallop calls for all agencies and brand to refuse to attend SXSW until they reinstate the canceled harassment panels.